A self-sponsored Dental student of College of Medicine of the University of Lagos, Odia Iyoha has shared her inspiring story so others can learn a thing or two. 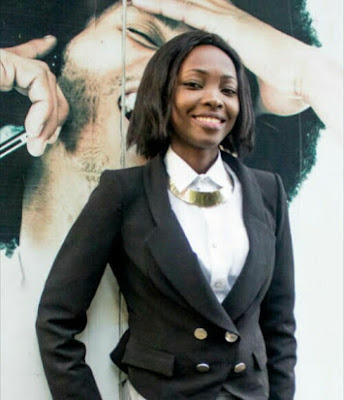 The 27 year old young Entrepreneur who already holds a first degree in Biochemistry revealed that she got admitted to Medical School on her 11th application and her 6th purchase of Jamb form. Why? According to her, every time she applies to any School, something always goes wrong and she ends up not getting admitted. Odia says she already lost hope and thought something would go wrong again even when she knew she wrote the qualifying examination very well. She then concluded plans to start her natural drinks production company already before she got admitted. She revealed that she had mixed feelings when she saw the result. She was 25 at the time. She almost did not take the admission again because she felt she would be too old by the time she would be graduating from medical school. "I won't say it is difficult neither will I say it is easy. You just have to find your balance." "Absolutely. Asides this business, I also write CVs and resumes for people. I had to stop when the demands started taking a toll on my reading time. "But I was able to pay my bills from the two businesses. I also have e-books on production of different household materials which I sell. In all, I have been coping fine." Odia says even though it has not been an easy ride for her, she is not relenting on herself because what she experienced in the Labour market between 2013 when she finished her first degree and 2015 when she got admitted to medical school is not encouraging at all. In her words, "I don't want to experience it again. There is thin hope for the common man. The rate of unemployment is on a dangerous rise. Everyone is looking for how to exit the Country. People advised me to leave the Country too when I finished from the University instead of staying back but I kept my hope alive applying for jobs in major Beverage Companies while at the same time applying to medical Schools. I will continue to build my business because I want a reason to stay back in the Country and contribute to its development when I am done with medical School. If my business can attain the height I have for it, then nothing will make me run out of Nigeria to practice. I will stay back here to practice while also running my business to meet all my responsibilities. Nigeria has disappointed a lot of graduates including myself but I am keeping all hope alive that Nigeria can be great again".